This name uses Spanish naming customs: the first or paternal family name is Godín and the second or maternal family name is Leal. Diego Roberto Godín Leal (Spanish pronunciation: [ˈdjeɣo ɣoˈðin]; born 16 February 1986) is a Uruguayan professional footballer who plays for Spanish club Atlético Madrid and the Uruguay national team as a central defender. He spent most of his professional career in Spain, representing Villarreal and Atlético Madrid and winning six major titles with the latter. An Uruguayan international since 2005, Godín appeared for the country at two World Cups and four Copa América tournaments, winning the 2011 edition of the latter competition. Born in Rosario, Godín started his professional career with C.A. Cerro at the age of 17. After his good performances, he was transferred to top division powerhouse Club Nacional de Football, where he quickly became captain due to his maturity and professionalism. In August 2007, Godín signed a five-year deal with La Liga side Villarreal CF, scoring in just his second game, a 2–3 away loss against CA Osasuna on 7 October, and participating with 24 matches in the club's best league placement ever (second). He consolidated his starting position in the subsequent seasons, mostly partnering Argentine Gonzalo Rodríguez in the heart of the back four. On 4 August 2010, after experiencing his best season at Villarreal – 36 games, three goals – Godín joined fellow league team Atlético Madrid on a five-year contract, after the two clubs agreed an initial fee believed to be around €8 million or £6.6 million. He made his official debut for the Colchoneros on the 27th, playing the entire 2–0 win against Inter Milan for the season's UEFA Super Cup. On 1 November 2013 Godín signed a new contract with Atlético, keeping him at the club until 2018. "I'm delighted to prolong my stay with the club. This is my home", he said. He scored four league goals during the campaign, including one on the last matchday on 17 May 2014 against FC Barcelona which equalized the game at 1–1 to earn his team its first league title in 18 years. A week later, again through a header, he repeated the feat in the final of the UEFA Champions League to put his team ahead, but Real Madrid eventually won 4–1. In 2005, at the age of 19, Godín made his debut for Uruguay in a friendly defeat against Mexico in Guadalajara. His first international goal came in another exhibition game, with Serbia and Montenegro in May 2006; he represented the nation at the 2007 Copa América, playing in the opening 0–3 defeat to Peru before losing his place in the team to Andrés Scotti in La Celeste's run to fourth place. Godín was selected for the squad at the 2010 FIFA World Cup in South Africa: he started in the opening match against France (0–0) in Cape Town, and played in a further four matches for the eventual semi-finalists. In 2011, Godín featured in Uruguay's successful 2011 Copa América campaign, making one appearance as a substitute in a 3–0 defeat of Paraguay in the final. He also participated in the 2013 FIFA Confederations Cup, partnering Diego Lugano in defence in four of the team's five matches as they reached the semi-finals. Godín was selected by coach Óscar Tabárez for the 2014 World Cup and captained the team in three of its four matches due to Lugano's absence through injury. On 24 June, he headed the game's only goal against Italy in the final group match, sending the country through to the knockout stage. In May 2015, Godín was named as captain for Uruguay's defence of the Copa América during the 2015 continental tournament in Chile. He was also picked for the Copa América Centenario squad, heading home from a Carlos Sánchez long cross in the opener against Mexico where both teams ended with ten players (1–3 loss). He gained his 100th cap in the following match, a 0–1 defeat to Venezuela at the Lincoln Financial Field. ↑ "The 11 best defenders in the world". FourFourTwo. 18 December 2015. Retrieved 11 April 2016. ↑ "Godín delighted by Atlético deal". UEFA.com. 1 November 2013. Retrieved 1 November 2013. ↑ "Costa sends Atletico to summit". ESPN FC. 21 December 2013. Retrieved 18 May 2014. ↑ "Atletico back on track". ESPN FC. 15 February 2014. Retrieved 18 May 2014. ↑ "Atletico open up three-point lead". ESPN FC. 13 April 2014. Retrieved 18 May 2014. ↑ Martin, Richard (17 May 2014). "Barcelona 1 Atletico Madrid 1, La Liga: match report". The Daily Telegraph. Retrieved 17 May 2014. ↑ McNulty, Phil (24 May 2014). "Real Madrid 4–1 Atletico Madrid". BBC Sport. Retrieved 25 May 2014. ↑ "Germany, Portugal get big wins in World Cup warmups". Zee News. 28 May 2006. Retrieved 13 June 2006. ↑ "Copa América 2007". RSSSF. Retrieved 13 June 2015. ↑ "Uruguay 0–0 France". BBC Sport. 11 June 2010. Retrieved 2 April 2014. ↑ "Names in the news: Diego Godin". Sportsnet. 20 May 2014. Retrieved 25 May 2014. 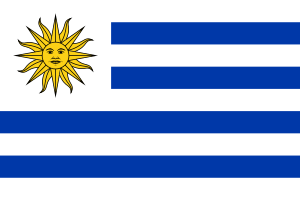 ↑ "Uruguay World Cup 2014 squad". The Daily Telegraph. 2 June 2014. Retrieved 24 June 2014. ↑ "Godin delights Uruguay, sends Italy home". FIFA.com. 24 June 2014. Retrieved 24 June 2014. ↑ "Uruguay confirm Copa América squad numbers as Rolán lands Suárez's No.9". 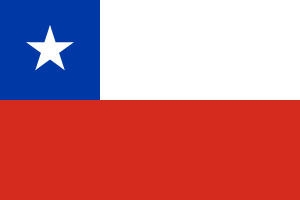 Copa América Chile 2015. 5 June 2015. Retrieved 13 June 2015. ↑ "Mexico 3, Uruguay 1 Copa America Centenario match recap". Major League Soccer. 5 June 2016. Retrieved 10 June 2016. ↑ "Uruguay se 'emborracha' de 'vinotinto'" [Uruguay gets 'drunk' on 'vinotinto']. Marca (in Spanish). 10 June 2016. Retrieved 10 June 2016. ↑ "Godín: "Es lindo cumplir 100 partidos"" [Godín: "It's a beautiful thing to celebrate 100 games"]. Marca (in Spanish). 13 June 2016. Retrieved 13 June 2016. ↑ "Godín: Diego Roberto Godín Leal". BDFutbol. Retrieved 28 May 2016. ↑ "Diego Godín". Footballdatabase. Retrieved 6 June 2014. ↑ "Atletico Madrid win La Liga". Sport 24. 17 May 2014. Retrieved 29 January 2015. ↑ "Real Madrid – At. Madrid" (in Spanish). RFEF. 17 May 2013. Retrieved 29 January 2015. ↑ "Barcelona 0–0 Atletico Madrid: Catalans win Spanish Super Cup". BBC Sport. 29 August 2013. Retrieved 29 January 2015. ↑ "Falcao at double as Atlético march to title". UEFA.com. 9 May 2012. Retrieved 29 January 2015. ↑ "Chelsea 1–4 Atletico Madrid". BBC Sport. 1 September 2012. Retrieved 29 January 2015. ↑ "Madrid finally fulfil Décima dream". UEFA.com. 24 May 2014. Retrieved 29 January 2015. ↑ "Uruguay celebrates well into early Monday its record winning 15th Copa America". Merco Press. 25 July 2011. Retrieved 24 May 2015. ↑ "The Liga BBVA team of the season". La Liga. 19 May 2014. Retrieved 7 June 2016. ↑ "Premios BBVA a los mejores de abril" [BBVA awards to best in April] (in Spanish). Liga de Fútbol Profesional. 30 April 2014. Retrieved 24 May 2015. ↑ "Premios BBVA a los mejores de mayo" [BBVA awards to best in May] (in Spanish). Liga de Fútbol Profesional. 19 May 2014. Retrieved 24 May 2015. ↑ "UEFA Champions League squad of the season". UEFA.com. 2 June 2014. Retrieved 24 May 2015. ↑ "UEFA Champions League Squad of the Season". UEFA.com. 30 May 2016. Retrieved 7 June 2016. ↑ "Champions League team of the group stage". UEFA.com. 15 December 2015. Retrieved 15 December 2015. ↑ "Griezmann named La Liga player of year, Diego Simeone top coach". ESPN FC. 24 October 2016. Retrieved 30 October 2016. Wikimedia Commons has media related to Diego Godín.